What is Hotel Channel Management? Before addressing this question, it is important to identify what a channel is first. If you take into consideration hotels.com, bookings.com and Agoda for instance, they are all sturdy examples of channels. Hotels will typically use various distribution channels in order to expand their reach and diffuse their information as far and wide as possible amongst, as mentioned above, direct online bookings, travel wholesalers and Online Travel Agents. Channel management itself is therefore a management platform; the act of efficiently managing a hotel’s booking information across all its distribution channels, concentrated on room availabilities and rates. This was primarily brought about to minimise and eliminate the issue of over-bookings, which was a common and crippling problem. Even more impractical is to manually work through each of the channels, updating them individually which, is quite frankly a colossal waste of time. Hence, the convenience and efficiency that hotels enjoy through the automation of this data entry with channel management systems is second-to-none. Channel managers allow hotels to monitor and control all relevant data spanning the globe, from one spot at the same time. As a result, hotels now have the ability to maximise their revenue and profits through achieving 90%- 100% room occupancy which is a highly profitable percentage. As technology continues to expand and develop, these systems are becoming sharper and smarter; already, automated system updates keep your accuracy and dependability upto par. More sophisticated channel management systems even deduce the suitability of the channel for your property. Different channel managers come bearing their own specialities and key features which not only distinguishes them from each other, but also offer a wider choice. With the burgeoning growth and spread of the Internet over the years, the need for consolidated, accurate data became more imperative than ever. Businesses in particular had understood only too well the many benefits that lay in wait for them, provided they utilised its tools appropriately. These benefits of course vary from industry to industry, however travel in particular has exponentially and undoubtedly flourished since the introduction of the first Global Distribution System (GDS) in 1960. Today, there is no shortage of options when it comes to booking a trip. Whether you decide to book it yourself or enlist a travel agent to do so, all of the information you need is immediately and conveniently available at your fingertips. Not only are you able to gauge your possibilities, you also have the ability to make effective comparisons to ensure you end up with the best deal that is both cost-effective and worthwhile. However, the travel industry as a whole is a magnamous field and encompasses different sub-sectors including flights and accommodation which are integral players within the system. This necessitates a need for efficient content aggregation in their respective areas. Channel Management is a tool that achieves just that, centralised for use by hotels and similar account providers. Hotel channel manager systems with XML API facilities, ideal for businesses who wishes provide channel management facilities to accommodation providers. Run by Online Ventures Pty Ltd., SiteMinder is an Australian based company. 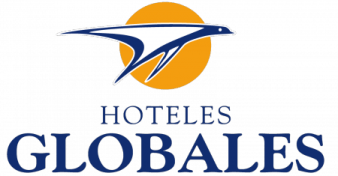 It is also one of the world’s largest channel management platforms offering hotels the opportunity to connect with guests worldwide. They cater to hotels of varying capacities,..